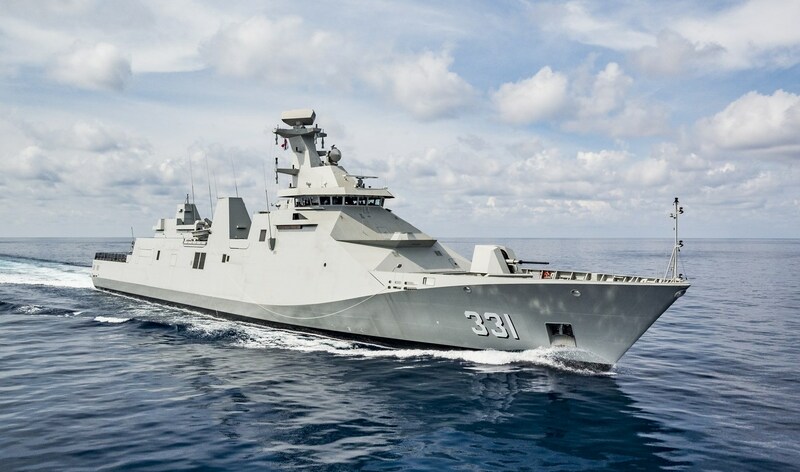 Damen Schelde Naval Shipbuilding has handed over the first SIGMA 10514 Perusak Kawal Rudal (PKR) frigate to the Indonesian Ministry of Defence, on schedule and on budget. The ceremony took place at the PT PAL shipyard in Surabaya where the vessel was assembled. The 105-metre, 2365 tonne PKR frigates are designed to undertake a wide range of missions in and around the waters of Indonesia, an archipelago nation made up of over 18,000 islands. Their primary mission is anti-air, anti-surface and anti-submarine warfare.